Chocolate is an almost irresistible flavor and there are many ways to boost it in a recipe. For instance, you could add melted chocolate to a cake batter, extra cocoa powder to a batch of cookies or a combination of the two to a batch of ice cream. But all these things can change the chemistry of a recipe, and there is one more way that you can boost chocolate flavor without altering a recipe: by adding chocolate extract. Chocolate extract is made by infusing an alcohol solution with cocoa beans, much as vanilla extract is made. It has an intensely chocolate aroma and flavor (although, like vanilla extract, it also has a strong alcohol note), and it is entirely natural. The fact that chocolate extract is made from real cocoa beans means that it translates into a surprisingly full bodied chocolateÂ flavor in whatever you add it to. 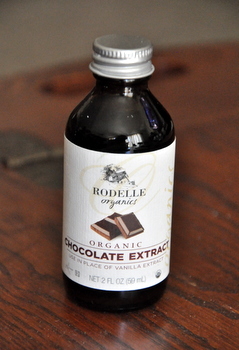 The extract is used exactly like vanilla extract, and it is even better when paired with vanilla. Don’t be fooled by artificial chocolate flavors (which are, across the board, awful) because they will not give you the same results as a quality chocolate extract. Of course, chocolate extract alone isn’t going to turn a vanilla cake into a chocolate one. You still need cocoa powder or chocolate to do that. What the chocolate extract does is enhance the chocolate and highlight it. You’ll notice it most in recipes like custards and mousses, but you’ll notice that chocolate cakes and brownies taste just a little bit better when you work a little chocolate extract into the recipe. 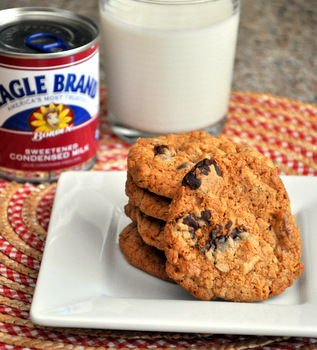 You can find it at some specialty stores, online, and at well-stocked grocers. I must confess I have never used chocolate extract before. Always wanted to try it though. We sometimes dribble a little in a cup of coffee.